Depressed man at shipyard. Depressed unemployed man sits on a bench at the shipyard with his head in his hands. Depressed unemployed man sits on a bench at the shipyard with his head in his hands. 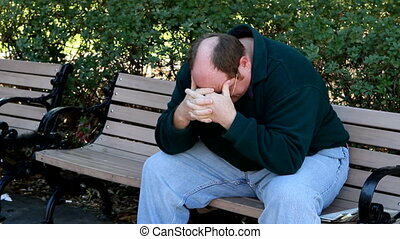 Man sit on a park bench in a state of depression. 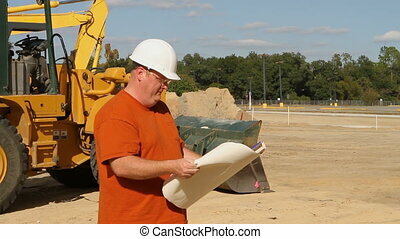 Construction foreman at an excavation site studies some blueprints and surveys the layout of the land. 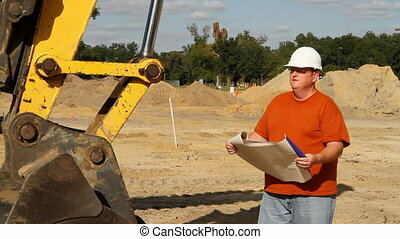 Contractor holding blueprints at an excavation site stands in front of a bulldozer and surveys the construction progress. 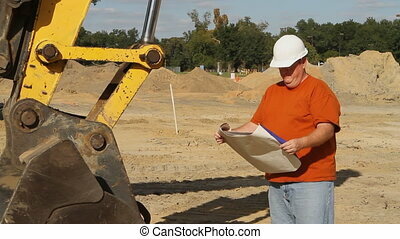 Construction foreman stands by heavy machinery at an excavation site and sends a text message after reading some blueprints. 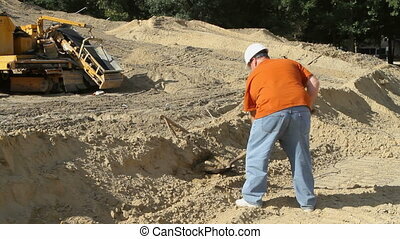 Construction worker uses a spade to dig and move dirt at an excavation site with heavy machinery in the background.